Created through a unique collaboration among Pearson Prentice Hall’s leading geoscience authors–including Robert Christopherson, Darrel Hess, Frederick Lutgens, Aurora Pun, Gary Smith, Edward Tarbuck, and Alan Trujillo–the Geoscience Animation Library (GAL) offers over 100 animations that illuminate the most difficult-to-visualize topics in physical geology, physical geography, oceanography, meteorology, and earth science. Available on DVD-ROM, the animations are provided as Flash files and pre-loaded into PowerPoint® slides for both Windows and Mac. The Fifth Edition animations now include audio narration and a text transcript, with new controls that enable instructors to turn the text and audio on or off. 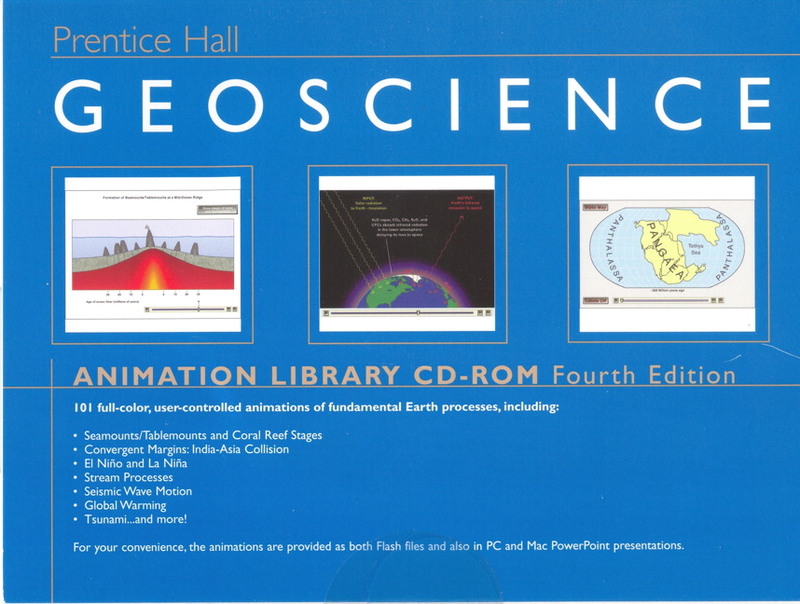 The most comprehensive, authoritative collection of animations available for the geosciences, unmatched by any other publisher. 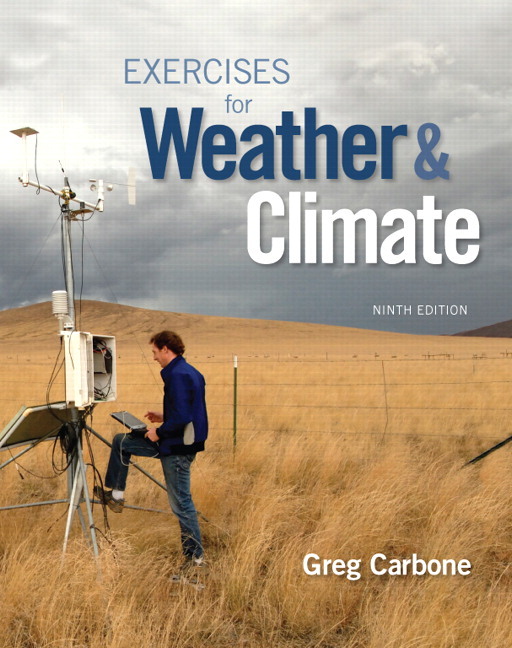 The most difficult concepts for students to understand are portrayed with simple schematic visualizations—enhanced with labels, narration and transcripts—to increase comprehension of a range of geologic, hydrologic, and atmospheric processes. Instructors can use the Flash files or PowerPoints from the CD-ROM as a lecture tool. There are now two separate sets of animations, one each for geology and geography, to match more closely to discipline-specific and book-specific terminology. Animations are now organized by topic, making it easier for geoscience instructors to find animations to match their lectures. All animations have been migrated to a new interface for increased performance and usability, including updated controls that allow the use of narration and text transcripts to supplement lectures. 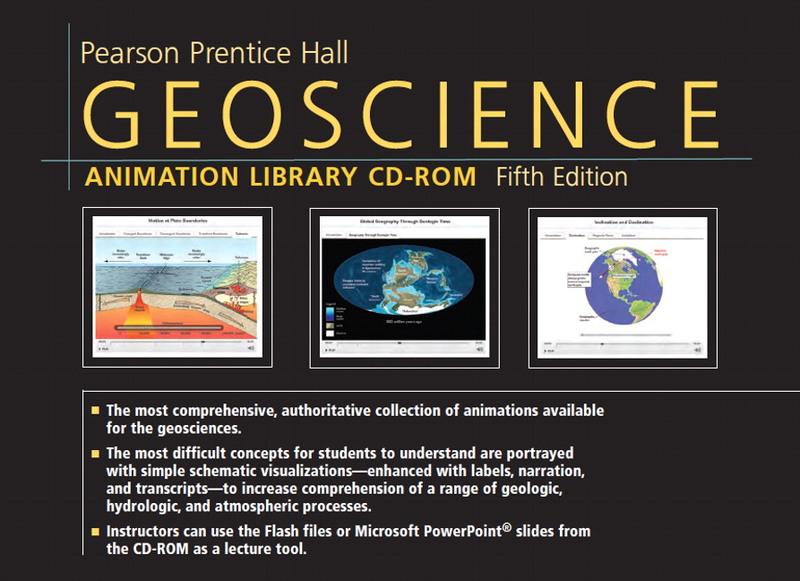 Student versions of the animations are found on the book companion websites for Pearson's introductory physical geoscience texts, along with the associated assessments. 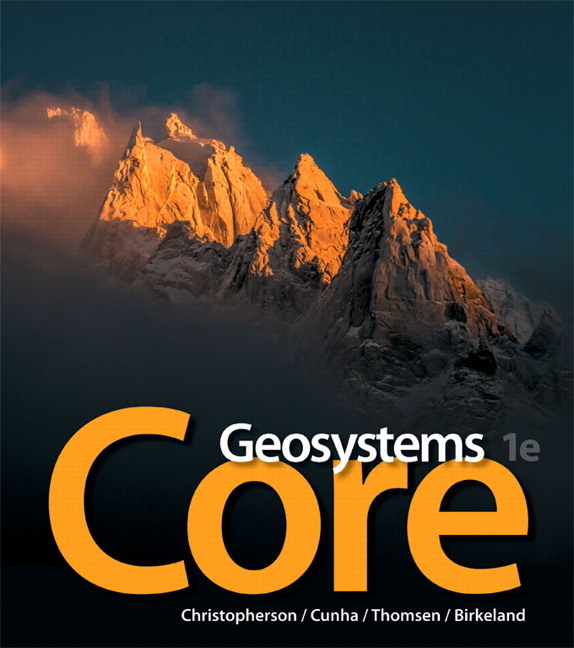 The book companion websites can be accessed via www.mygeoscienceplace.com. Robert W. Christopherson attended California State University—Chico for undergraduate work and received his Masters in Geography from Miami University, Oxford, Ohio. He joined the American River College faculty in 1970, where he founded the geography program. 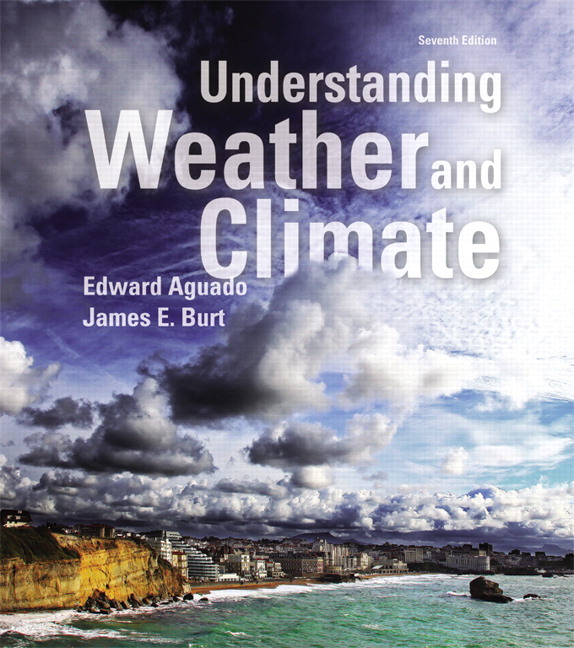 From 1970 to 1999 he taught such courses as physical and cultural geography, weather and climate, humans and the environment, and humans in the urban environment, and is currently Professor Emeritus. Robert Christopherson is the recipient of numerous awards, including: the Patrons Chair and Student Association Teacher of the Year Awards at his college, the 1999 Distinguished Teaching Achievement Award from the National Council for Geographic Education, the 1998 Textbook Award for Geosystems, 3/E from the Text and Academic Authors Association, the California Geographical Society’s 1997 Outstanding Educator Award, and, most recently, the 2005 President's Award and 2005 Textbook Award for Elemental Geosystems, 4/E from the Text and Academic Authors Association. Robert presented in seminar, television and radio, and research papers on topics such as the physical geography of the polar regions, global climate change, energy issues, and environmental awareness. He and his professional photographer wife completed five polar expeditions; they attended the 2004 Arctic Climate Impact Symposium in Reykjavik, Iceland to gain photo and video coverage as well as research for Geosystems and Elemental Geosystems. Robert's wife has provided more than 300 exclusive photos for each of these texts. 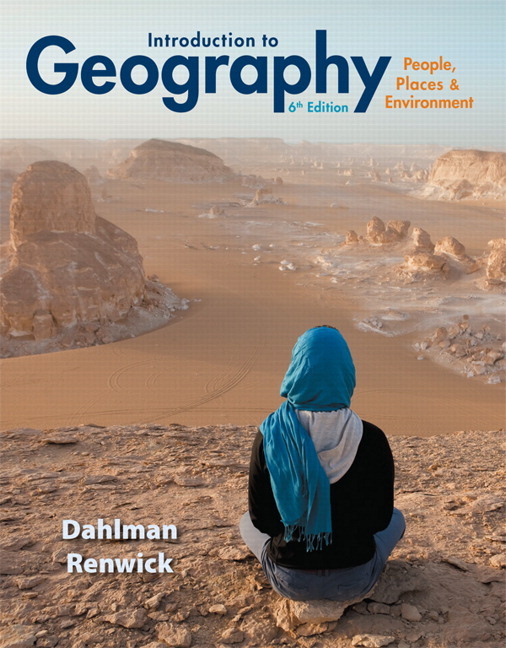 Darrel Hess began teaching geography at City College of San Francisco in 1990 and served as chair of the Earth Sciences Department from 1995 to 2009. After earning his bachelor’s degree in geography at the University of California, Berkeley, in 1978, he served for two years as a teacher in the Peace Corps on the Korean island of Chejudo. Upon returning to the United States, he worked as a writer, photographer, and audiovisual producer. His association with Tom McKnight began as a graduate student at UCLA, where he served as one of Tom’s teaching assistants. Their professional collaboration developed after Darrel graduated from UCLA with a master’s degree in geography in 1990. 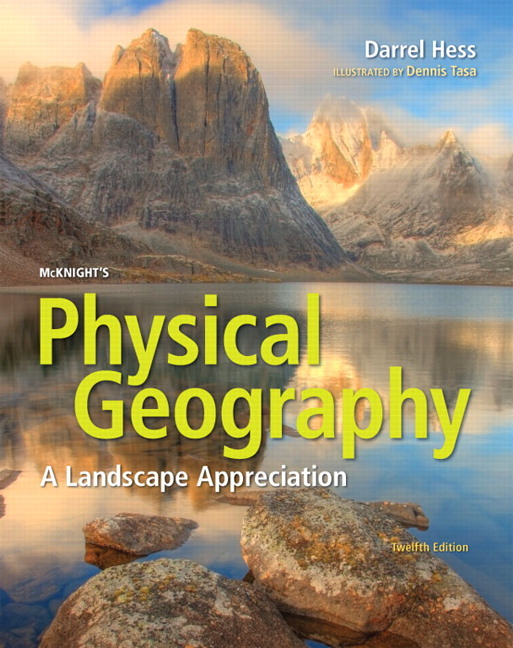 He first wrote the Study Guide that accompanied the fourth edition of Physical Geography: A Landscape Appreciation, and then the Laboratory Manual that accompanied the fifth edition. Darrel has been authoring both works ever since. In 1999 Tom asked Darrel to join him as coauthor of the textbook. As did Tom, Darrel greatly enjoys the outdoor world. Gary A. Smith is a Professor of Earth and Planetary Sciences at the University of New Mexico and Fellow of the Geological Society of America. He has an undergraduate geology degree with a specialty in geophysics from Bowling Green State University and a Ph.D. in geology from Oregon State University. Gary has strong interests in science education through his membership in the National Association of Geoscience Teachers and the National Science Teachers Association, and as Director of the Office of Support for Effective Teaching, the faculty development center at the University of New Mexico. Aurora Pun is a Lecturer in the Department of Earth and Planetary Sciences at the University of New Mexico. She holds an undergraduate degree in paleontology from the University of California, Berkeley and M.S. and Ph.D. degrees in Geology from the University of New Mexico, Institute of Meteoritics. Aurora has taught physical geology for over 14 years. Also a member of the National Association of Geoscience Teachers, Aurora has taught a course for teachers on developing inquiry-based K-12 curricula in the earth and space sciences. Alan P. Trujillo teaches at Palomar Community College in San Marcos, CA, where he is co-Director of the Oceanography Program and Chair of the Earth Sciences Department. He received his bachelor’s degree in geology from the University of California at Davis and his master’s degree in geology from Northern Arizona University, afterwards working for several years in industry as a development geologist, hydrogeologist, and computer specialist. Al began teaching in the Earth Sciences Department at Palomar in 1990 and in 1997 was awarded Palomar’s Distinguished Faculty Award for Excellence in Teaching. 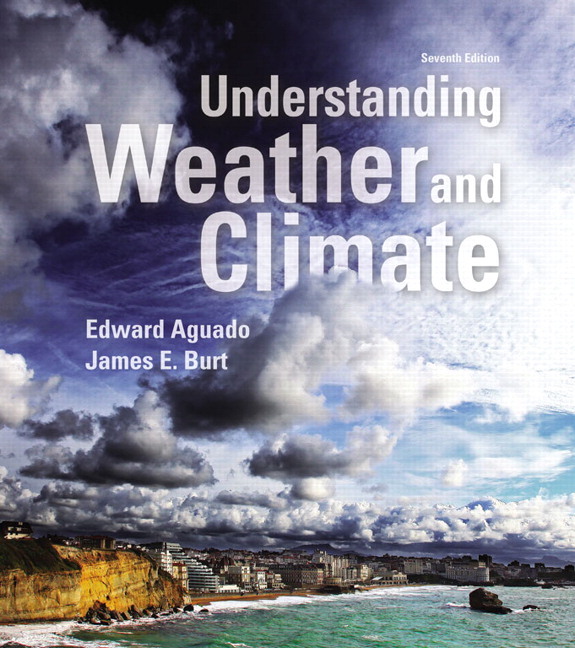 He has co-authored Introductory Oceanography with Hal Thurman and is a contributing author for the textbooks Earth and Earth Science. In addition to writing and teaching, Al works as a naturalist and lecturer aboard natural history expedition vessels in Alaska and the Sea of Cortez/Baja California. His research interests include beach processes, sea cliff erosion, and computer applications in oceanography.